I am so glad that I can share this article with you. The owner of Simple Animal cares about animals, human labour, the environment, sustainability and preventing harm over profit. Isn't that lovely to read? She produces hand-made t-shirts and bags in a way which complies with the ethics described above. Keep reading to find out more about Simple Animal, and read the great things that the owner hopes to achieve when the business grows. What does Simple Animal specialise in selling? 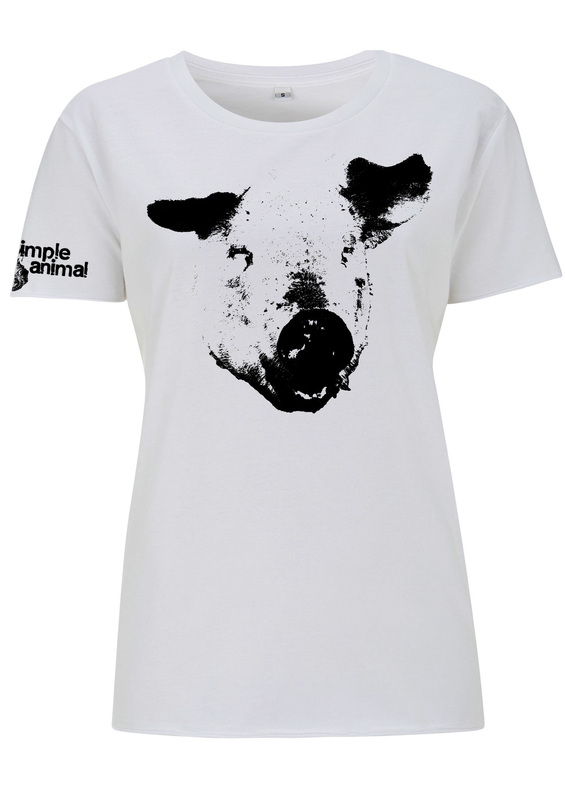 Simple Animal is an ethical and vegan fashion label that specialises in selling original, animal and vegan-inspired designs that are screen printed on fairly traded, organic t-shirts and bags for adults and kids. Where is Simple Animal based? Simple Animal is based in London. 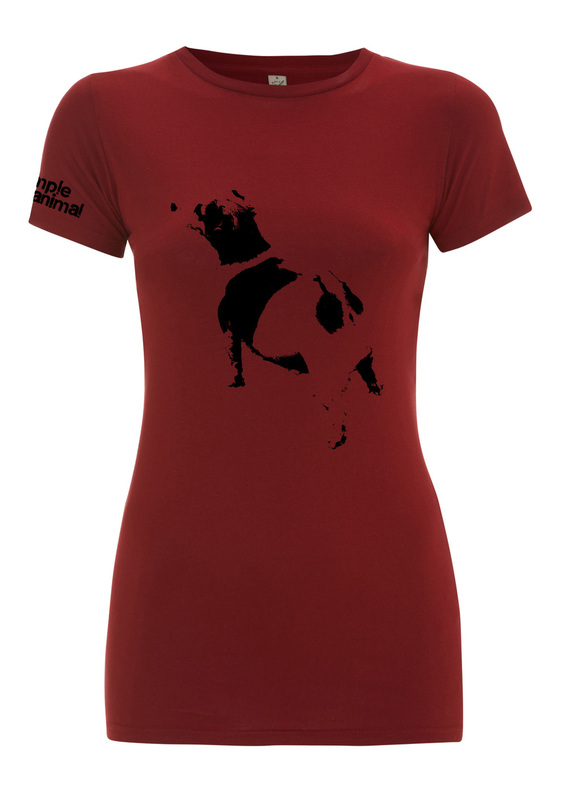 The products are available online at www.simple-animal.co.uk and we ship worldwide. Occasionally we sell at vegan festivals, so follow us on Facebook and Twitter for announcements. What inspired you to create a business that solely focuses on vegan T-shirts and bags? I am vegan myself, and at one point I noticed that most t-shirts that were being sold at VegFest were neither fairly produced, nor were they printed in an environment-conscious way. Most prints were oil-based, which is very heavy on the environment. I decided I'd give it a go and see if I can do better. Simple Animal only uses water-based ink that is certified by the soil association. 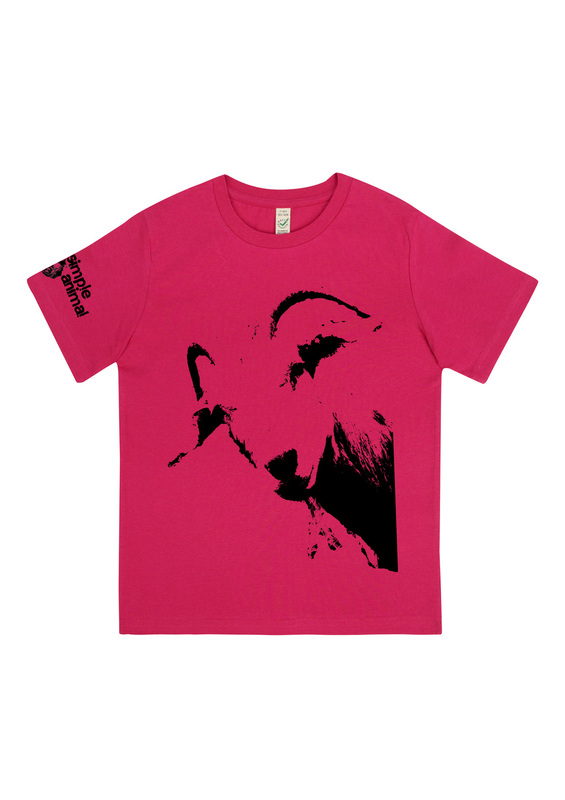 All t-shirts and bags are fair trade and the production process is vegan. The emulsion used for the screens is gelatine free, the glue is animal free and the ink doesn't contain animal products, either. How easy is it for you to source cruelty free fabrics and inks for your products? The research process took some time, but eventually I managed to find some reliable suppliers that ensured me their products are cruelty-free. We mostly use small businesses, because we can speak with the owners, which is essential to finding out about specific aspects of their products. Do the cruelty-free items effect the outcome in comparison with non vegan T-shirts? Simple Animal products are all very good quality. I'm using organic cotton, Lyocell and bamboo, which are all wonderfully soft and kind to the planet. The hard part during production is printing with water-based ink. If the ink ends up where it is not supposed to go, it can't be removed. That may be why oil-based ink is so popular. If you make a mistake with that, you can apply a solution that saves the fabric. It is a compromise I am willing to take for the environment. As a result, you can find slightly less perfect t-shirts for little money in the 'Imperfectionists' section on the website. Is Simple Animal owned by, or in partnership with, another company that tests on animals or sells non-vegan products? No. Simple Animal is a one woman company, owned by an ethical vegan who does everything in her power to ensure no animals are harmed in the process of creating the products :). Simple Animal is currently working on getting PETA certified. Tell me a bit about yourself before you launched Simple Animal? I am German/Israeli and came to London 5 years ago to finish my degree in English literature. I've always enjoyed being creative and I enjoy working on a variety of things. I've been working in events for the past eight years, before and alongside my studies, but I also freelance for other companies and occasionally do some film work and I sing. Sometimes it can be a bit challenging to juggle it all, but I enjoy the flexibility that this lifestyle brings with it. What is your vision for the future of Simple Animal? I sincerely hope people enjoy the products and buy them, so I can grow the business and do good with it. I'd love to get Simple Animal into shops too. The bigger vision for Simple Animal has always been to be able to give a percentage of the sales to charity and maybe even create work places for under- privileged groups of society. Unfortunately, not many people are willing to pay a fair price for a product that is hand-made and ethically produced. The bigger picture is that the person making the t-shirts and bags should be paid a fair price for their labour. The printing process and making the designs also costs time and money, which of course comes at a price. It is a fair price that really is affordable for everyone. What should I do with non-vegan my shoes and clothes?